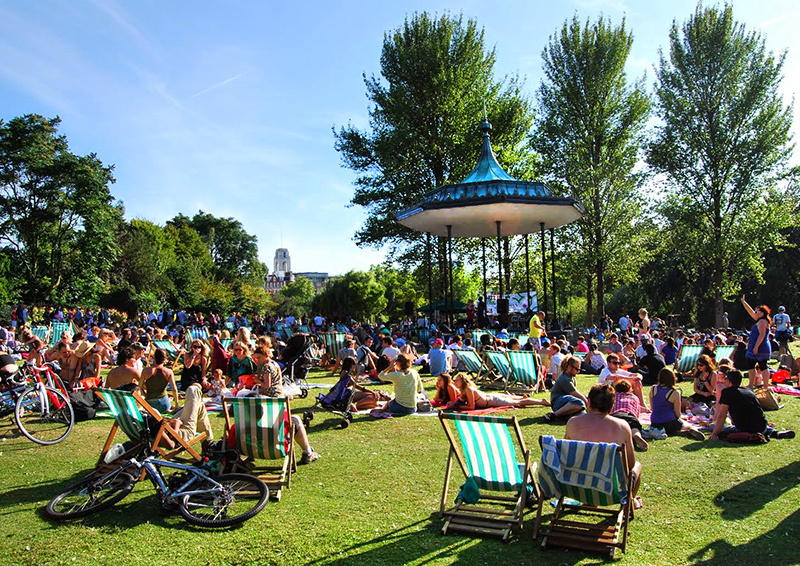 The Regent’s Park Music Festival will bring alive the Bandstand with music Sunday afternoon and Bank Holiday Monday from June 22nd until September 8th.. These free concerts were very popular in 2018, drawing audiences of up to 500 people. 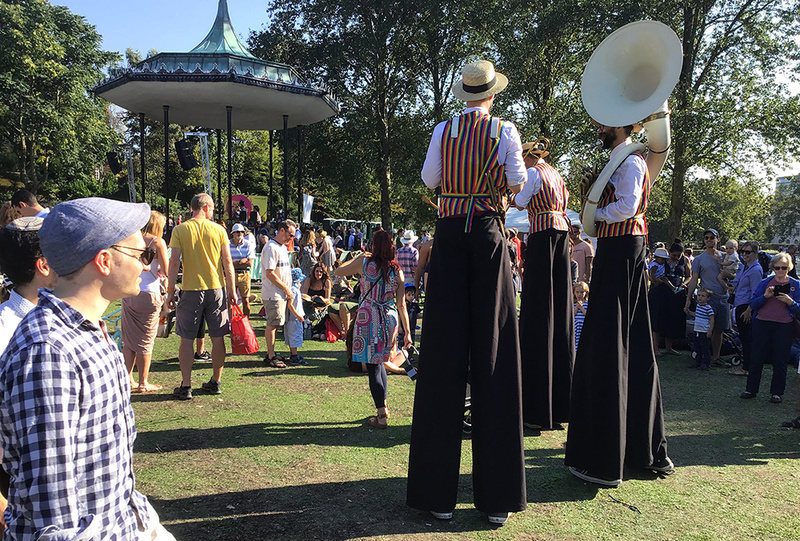 This year they will be bigger and better with performances on Sundays and Bank Holiday Monday lasting all afternoon from 12.30 to 17.30. Programmes will be varied and include local Concert Bands, Jazz Big Bands, small groups, and Choirs – entertainment perfect for your summer picnics and outings. Enjoy music from the Park’s bandstand from the comfort of a deck chair (available to hire) or on a blanket with your picnic. The Bandstand was originally located in Richmond Park and was moved to Regent’s Park in the 1970’s. There was an earlier bandstand which stood near the south-east corner of the boundary of London Zoo. The bandstand was the target of a IRA terrorist attack on 20 July 1982. Seven soldiers were killed and 24 others were injured during a concert by the Royal Green Jackets. Sometimes the bandstand is called the “Memorial Bandstand” in memory of the dead soldiers and their mounts. A plaque that commemorates the dead soldiers is located on the base of the bandstand. The composer George Lloyd wrote Royal Parks For Brass two years after the bombing. The second movement of which, In Memoriam is dedicated to the bandsmen who died. Many bands feature this piece in their playing selections. The bandstand music is funded by donations.